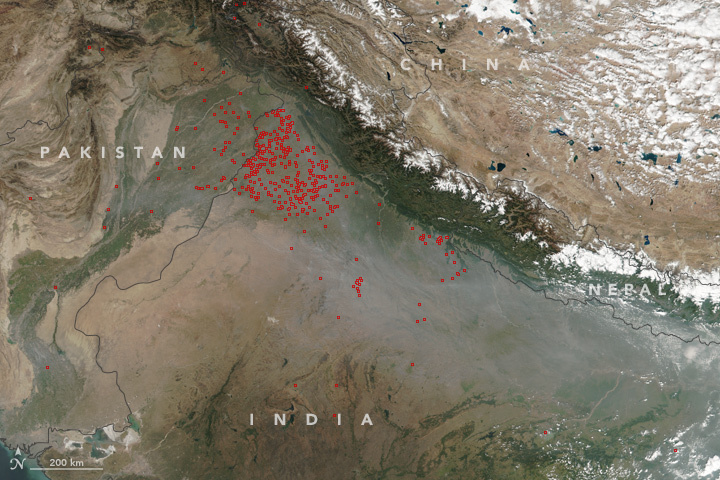 When the Visible Infrared Imaging Radiometer Suite (VIIRS) on the Suomi NPP satellite passed over India on October 25, 2017, there were widespread crop fires in the province of Punjab. In the image above, red outlines show the approximate locations of active burning. Many farmers in India set fire to their fields to clear them before planting, a practice known as stubble burning. 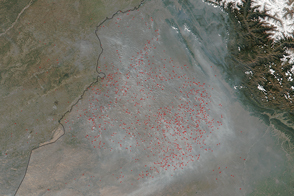 NASA Earth Observatory (2015, November 13) Stubble Burning in Punjab, India. 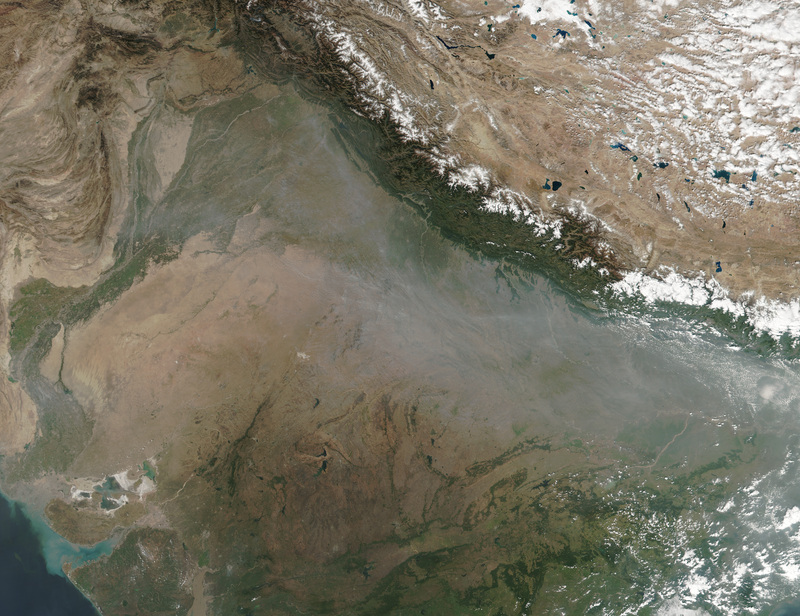 NASA Earth Observatory (2014, November 14) Seasons of Indian Air Quality. The Hindu (2017, October 28) The flaming fields of Punjab. Accessed October 27, 2017.